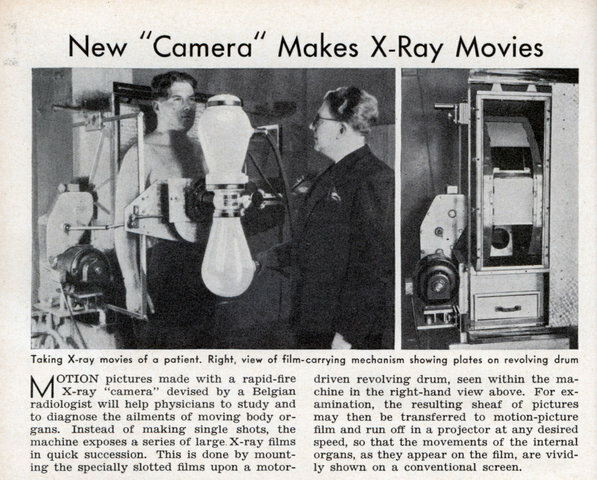 MOTION pictures made with a rapid-fire X-ray “camera” devised by a Belgian radiologist will help physicians to study and to diagnose the ailments of moving body organs. Instead of making single shots, the machine exposes a series of large X-ray films in quick succession. This is done by mounting the specially slotted films upon a motor-driven revolving drum, seen within the machine in the right-hand view above. For examination, the resulting sheaf of pictures may then be transferred to motion-picture film and run off in a projector at any desired speed, so that the movements of the internal organs, as they appear on the film, are vividly shown on a conventional screen. I used to be a chemistry PhD student. And the top (at least biggest group and biggest ego…who had angels painted on a sky-filled ceiling in his master bedroom), predicted, off-hand, via the statement “well, we don’t have x-ray movies yet.” What he MEANT was x-ray *crystallography* movies that showed how molecules move if your watch included a nano (actually femto) second dial. And the new millennium we have not one but two of those technologies now available. 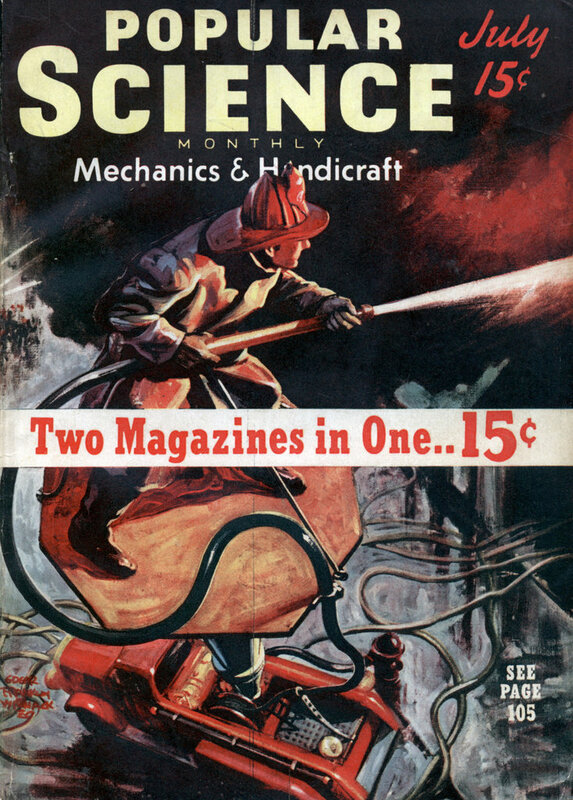 One is the ability to take a “crystal structure” (AKA Crick and Watson DNA=Helix Nobel Prize) using *one* molecule in some sort of vacuum chamber, but also some other thing I forget. The big breakthrough though is that it was TOO HARD to “crystallize” the most important medical pill worthy proteins, since they were, in a cell, imbedded in the soap-bubble-like cell membrane, but they wouldn’t crystallize.